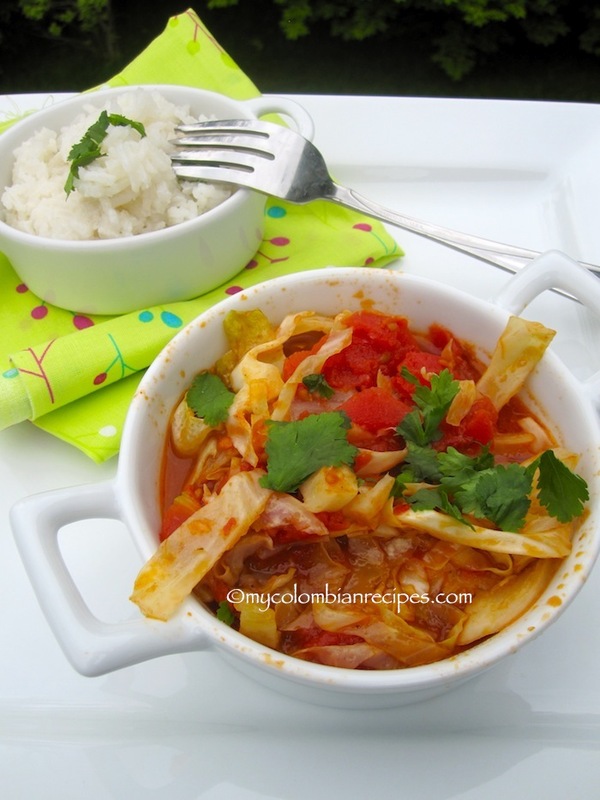 Repollo Guisado combines crunchy cabbage and Colombian spices in a flavorful tomato sauce. 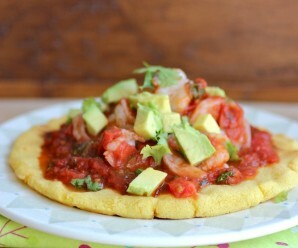 This is a simple yet flavorful meatless dish. A few ingredients prepared with a few aromatic spices, creates a delicious side dish, or a vegetarian main course. Heat the oil over medium low heat, add the onion, crushed garlic, scallions, bell pepper, salt and pepper. Cook until the onions are soft and translucent, about 7-10 minutes. Add the cabbage, chopped tomatoes, tomato sauce, ground cumin for about 10 minutes. Season with salt and pepper. Add the stock, or water, and bring to a boil and reduce to a simmer and cook for 10 minutes more. Adjust the seasonings if needed. Add fresh parsley or cilantro and serve warm. 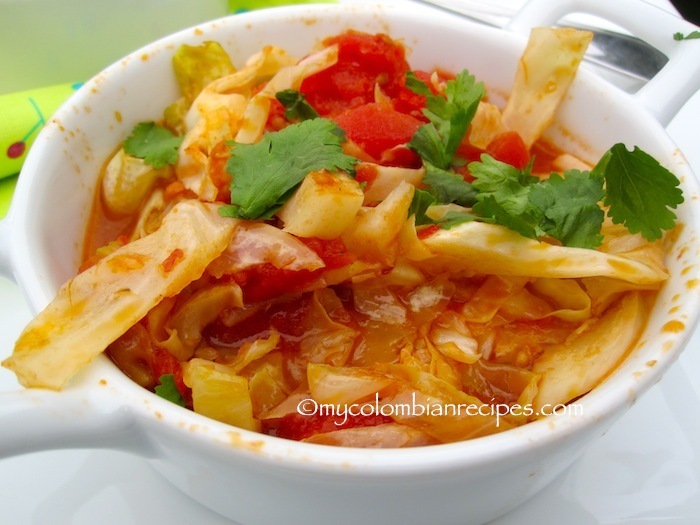 I’ve always loved stewed cabbage and would be great to try this one – so flavorful with the spices! 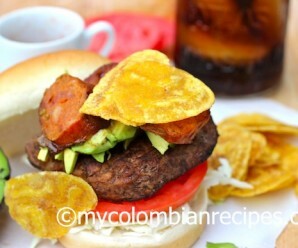 I don’t I have sen many latin recipes with cabbage, this is awesome. Looks really good. 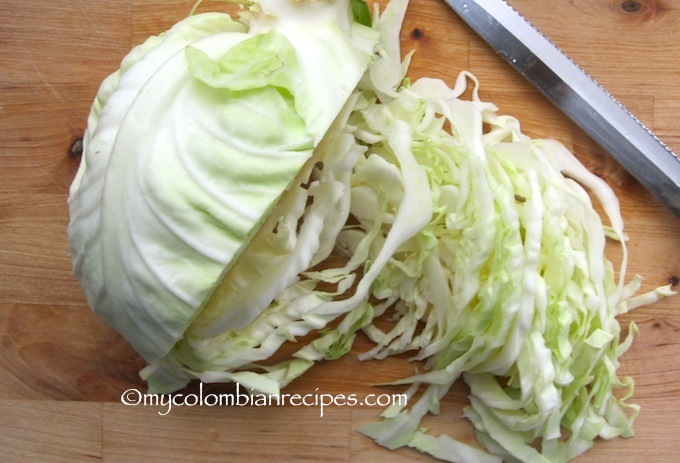 I’m always looking for new cabbage ideas…this sounds so tasty! I cook a lot of cabbage dishes in the winter months, Erica. 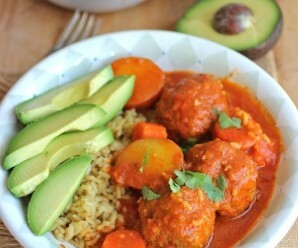 Love the color and flavors of your recipe! I have half a head of cabbage and everything to make this, might do it tomorrow. It sounds so good and would go great with roast pork. 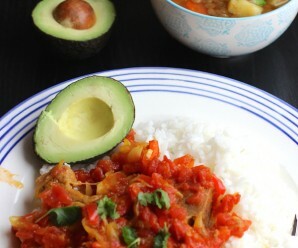 I am a vegetarian and made this for lunch and it was rich and a fantastic vegetarian main dish. Thank you all for visiting this blog and taking the time to leave a comment!